Movie adaption of the video game “The Last of Us” starring Maisie Williams, interested? The Last of Us is a video game about a post apocalyptic world where humans are the minority and zombies the majority. Now, I've talked about video games being made into movies already but this one is kind of special. The project is being spearheaded by no other than Sam Raimi, father of the Evil Dead franchise. According to the film’s writer, Neil Druckmann, Maisie Williams has been approached to play the lead role of Ellie in the film. 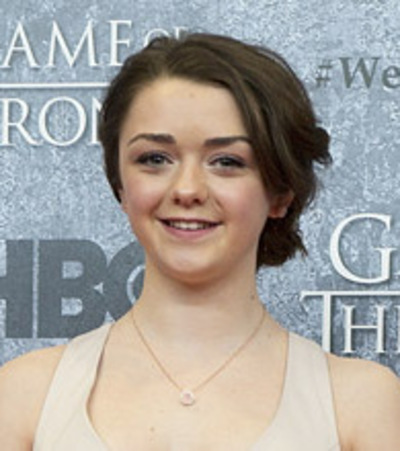 Williams is best known for her role as Arya Stark in the HBO series Game of Thrones. There has been no official word on Williams attachment to the project as of yet. What do you think, have you seen enough zombies? Would a film trump TV for you? Have you played the game? It is not my genre, so I can't really comment, but from reading the storyline of the game, it looks like it has good potential. I haven't played the game yet, and I would likely have watched the movie regardless, but if Maisie Williams plays the lead, I can guarantee you I will be watching this one. I love her role in Game of Thrones, and I would really enjoy seeing her as a lead in a movie. If it's directed by Raime, heck yes! I am a big fan of Zombie movies. Zombies have been done a lot, but if it the movie or show is done well then that doesn't matter. I'd certainly give it a look. What is the most ridiculous movie you’ve ever seen? Which three movies defined your youth? What was your favourite movie released in 2017? How many sequels are too many? Are you ready to watch Daniel Radcliffe play a role other than Harry Potter? How do you make authentic tasting Indian dishes?